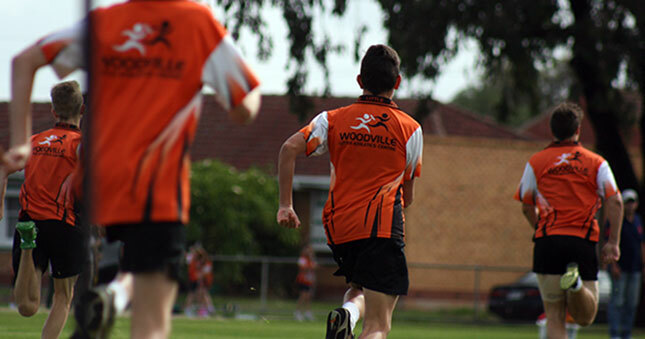 Woodville Little Athletics Centre is a voluntary community based organisation focused on developing children of all abilities, by promoting positive attitudes and a healthy lifestyle through involvement in athletic activities. 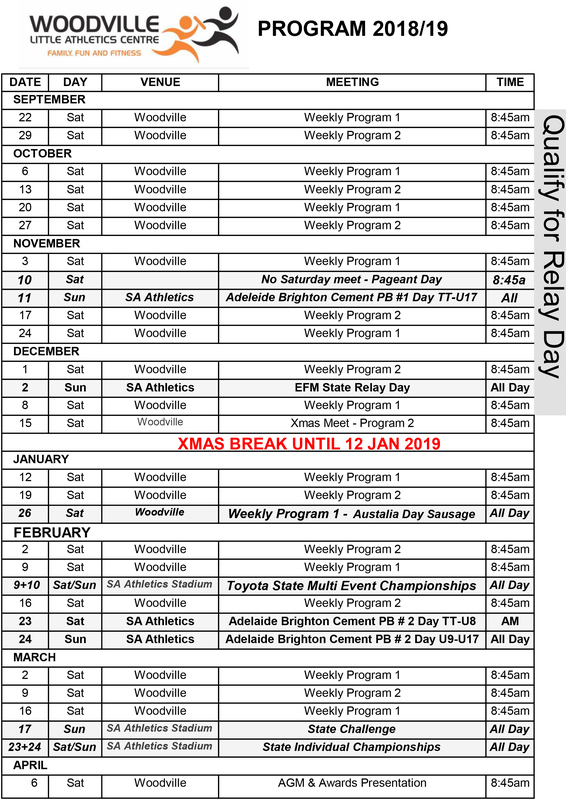 Woodville Little Athletics Centre WLAC has been running for over 40 years, and each season over 200 little athletes and their families enjoy all the events and activities WLAC has to offer. 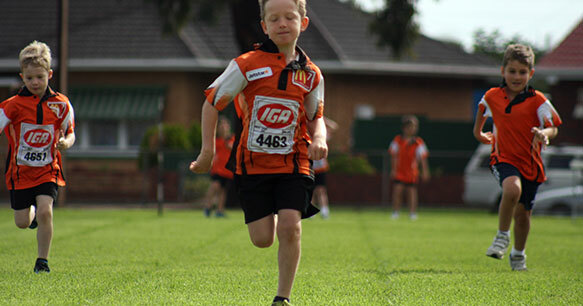 Little Athletics is based upon the sport of athletics (track and field) with a wide range of running, jumping, throwing and walking events specially modified to suit all ages and abilities. 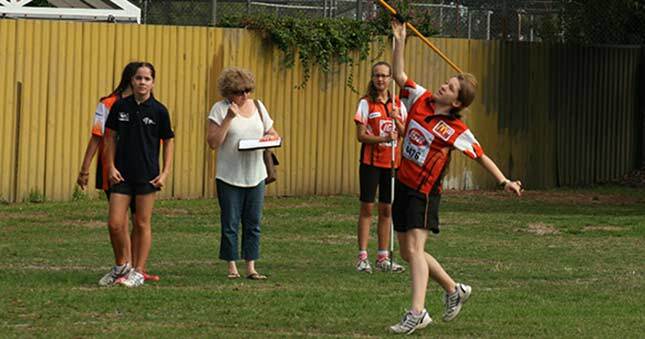 WLAC is a small family focused little athletics club in the western suburbs of Adelaide. The centre has been established since the 1970’s and is operated entirely by parents and family members on a voluntary basis. providing all our athletes with a safe environment and well-maintained equipment and facilities. Athletes are able to learn and develop at their own pace and in some events they will compete with others of a similar ability. 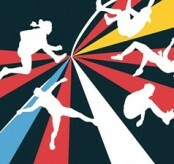 Each event is modified to suit the age of our competitors. 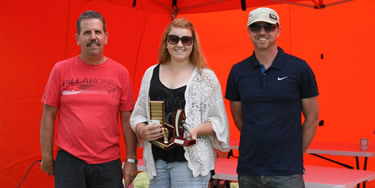 All registered athletes participate in the centre’s awards for participation and personal improvement at the end of the season. 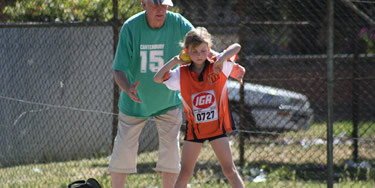 Little Athletics is a uniquely Australian sport for children aged 3-17 years. As the name suggests, it is based upon the sport of athletics (track and field) and the events are specially modified to suit the ages and abilities of children. 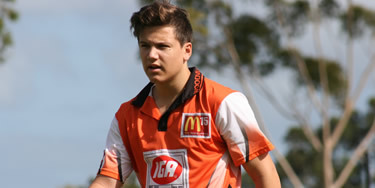 A wide range of running, jumping, throwing and walking events is conducted. 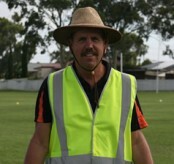 Competition is held every Saturday morning, including most school holidays, at Findon High School Oval, Drummond Ave, Findon. A warm-up for all athletes is held at 8:45am sharp. Most events finish by 11:30 at the latest with younger age groups finishing earlier. Children are divided into age groups for competition. Children aged three and four can participate in athletics as Tiny Tots. On their 5th birthday they become Little Athletes and compete in age groups from Under 6 to Under 17. 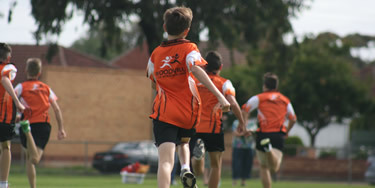 Any child from 5 to 16 can join Woodville Little Athletics Centre. Registrations will be accepted on any of our Saturday competition days at Findon High School Oval, however we recommend you complete our online registration forms before bringing them on Saturday morning. 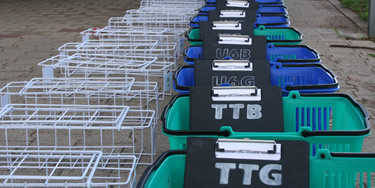 This will speed the process up on the day - helping both you and our volunteers. Although competition starts at 8:45am with the warm up, we do ask that you come a little earlier if you wish to register on the day. Bring proof of age (eg birth certificate or passport) and cash or a cheque made out to "Woodville Little Athletics Centre" for the appropriate fee as outlined below. Committee members will provide a short orientation for new parents if requested on Saturday mornings around 8:30am before the first events have started. Parents will be given a brief description of the events, the rules of those events, what role is required of the parents and where equipment is placed in the morning and where it is returned at the conclusion of the meet. Other information to help you understand how the centre is run will also be available. Questions will be welcome! Weekly event programmes for all age groups. Weekly points update and achievement levels. 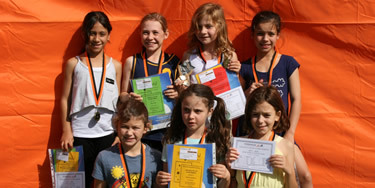 Recognising and Rewarding little athletes. WLAC Centre Best Performances & records. Just as we use training to improve technique, proper nutrition can help the athlete gain the most out of athletics. Nutrition provides the athletes with the energy reserves needed to compete. Since our meetings are on Saturday mornings there may be a tendency to skip breakfast. This can lead to reduced energy reserves and nausea during competition. On the other hand anything more than a very light meal should be avoided any later than an hour before competition. It is important that parents encourage their children to have a proper diet to ensure that they can compete to the best of their ability. NOTE: The Centre does not subscribe to any particular nutritional guidelines nor promote itself as being a nutritional expert. The Centre expects that parents will take the proper measures to ensure their children’s nutritional needs are met. Athletes and parents should be aware that with athletics, in particular running events, there will be fluid loss due to perspiration. Athletes can expect to lose at least 300ml of water every hour while competing. It is therefore, very important that athletes replace lost fluids by making sure that they drink during competition, and in particular on very hot days. The best fluid replacement is water or very weak cordial or commercially available ‘sports drinks’. The sugar content in soft drinks is too high for them to be used as a means of fluid replacement. On hot days soft drinks, taken in large quantities over a short space of time, will inhibit absorption of water by the body from the gut and may lead to dehydration. Take soft drinks in moderation or leave them until after competition is completed. For this reason lollies should also be avoided before and during competition. Slip on your t-shirt. Slop on your sunscreen. Slap on a hat. Parents are reminded of the need for athletes to apply a suitable sunscreen and to wear a hat (broad brimmed is preferable). Injury prevention is the aim in all sports. A thorough warmup with jogging and stretching is essential to achieve this. A warmup should be performed prior to starting to compete. Stretching should be continued between events, especially if there is a time gap. The common injuries in Little Athletics are muscle strain injuries and strain injuries where tendons join bone. The first aid treatment of these injuries involves: Rest Ice Compression with a firm bandage Elevation R Rest is continued until the acute pain has settled. Ice is applied for 10 to 15 minutes each two to three hours until the swelling has settled. Compression is applied with a firm bandage until swelling has been controlled. Rehabilitation should aim to return the injured athlete to a condition where their risk of re-injury has been absolutely minimised. It is based on accurate diagnosis, early mobilisation, stretching and strengthening exercises. Technique correction is often required as well to prevent re-injury. Any athlete who experiences pain repeatedly in the same area requires careful assessment. Upon registering your child your permission will be sought for medical attention in the event of injury. This is to ensure that your child receives proper treatment as quickly as possible. The Centre has a First Aid Kit and members will provide some basic first aid until proper medical attention, if required, arrives. It is quite normal for athletes who may have medical conditions, for instance asthma and epilepsy, to compete. These athletes may sometimes require medication to assist them. Athletes who require medication should be familiar with their medications, how and when to take them, and should have the medications on hand at meetings. The Centre strongly advocates that parents of athletes who are on medication, be on hand at meetings to assist their children in the taking of their medication in the event such action be required. The special events calendar will be updated for the next season shortly. View our Key Event Dates. All duties are carried out voluntarily by the parents/caregivers of the children competing - the success of the Centre depends on YOU!